Physicians in Fredericksburg, VA express their frustration with the ransomware attack that took down Allscripts systems late last week. Moss Free Clinic Medical Director Patrick Neustatter, MD believes the situation is bigger than Allscripts is letting on, given that the colleagues he has spoken with are in “frantic meltdown mode.” The clinic didn’t have to cancel appointments, but did have to revert to paper – a move that had scribes up in arms over illegible physician handwriting. Allscripts has kept customers apprised of recovery efforts via daily conference calls, and expects to bring customers back up on a rolling basis, presumably over the next several days. Operations were back to normal at the clinic as of this morning, with the exception of e-prescribing. Nuance announces GA of Dragon Medical Practice Edition 4, featuring Windows 10 touchscreen compatibility, and enhanced usability and voice capabilities. Oak Street Health hires David Buchanan MD, (Erie Family Health Center) as Executive Medical Director for Illinois. Greg Novak (Presidio) joins CareCloud as VP of channel sales. EHR vendor Welligent names Matt Chamberlain (Open Minds) COO. 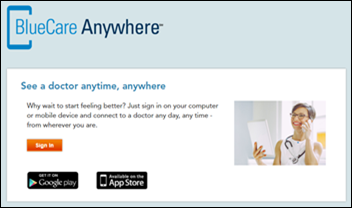 Blue Cross Blue Shield of Arizona taps American Well to power its new BlueCare Anywhere virtual consult service. The USDA awards $23.6 million via its Distance Learning and Telemedicine Grant Program to rural communities in need of broadband equipment. The funding will assist virtual projects related to job training, education, and healthcare in 28 states. Telemedicine projects in several states will focus on offering patients greater access to mental healthcare and opioid abuse treatment. A new MGMA poll of just under 1,300 respondents finds that 15 percent are planning to implement telemedicine this year, 20 percent are unsure, and 39 percent have no plans to. Survey results saw a 3 percent year-over-year decrease in physicians that plan to add virtual visit services. Using data from 2014, a RAND study on the EHR utilization of 39,000 hospital-affiliated physician practices finds that nearly 40 percent are under-utilizing the technology, and close to 25 percent are leveraging them to their full potential. Practices struggling with utilization tend to be in rural areas out West with fewer physicians than their metropolitan super-user counterparts. The relationship between a patient and their provider has always been at the root of positive outcomes for patients and success for a practice. Unfortunately, this relationship has hit some bumpy spots in recent years. Providers can no longer rely on clinical care excellence alone to keep patients coming back. Patients expect the full customer experience. Never has this been truer than in 2017. It is a well-known fact that Amazon revolutionized the customer experience. As founder Jeff Bezos explained, “We’re not competitor obsessed, we’re customer obsessed. We start with the customer and we work backwards.” Their strategy worked. The Amazon effect created a shift in the way individuals view their relationships with businesses. 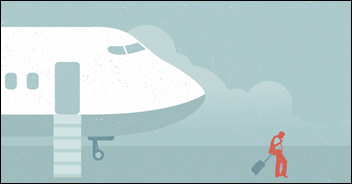 Today’s customer now assumes that companies will anticipate and meet their needs ahead of time. These expectations have made the leap to healthcare. Patients now expect an Amazon-like experience, and they don’t just want stellar care, but connection and accessibility as well. Excellence is now expected to be the norm for providers, not the exception. Meeting these rising demands is difficult. In fact, a study of healthcare CEOs found that meeting these consumer-based expectations is one of the top three challenges facing those in the medical industry. Why? Declining insurance and Medicare/Medicaid payouts have left practices spread thin. Today’s doctors are seeing more patients than ever before, and yet their incomes are either flat or falling. Falling reimbursements have forced practices to increase the number of patients being seen—leading to extra stress on staff and a “Jiffy Lube” experience (where practices try to get patients in and out of the office as quickly as possible) for patients. Unfortunately, such an experience is not what Amazon patients demand. Today’s patients want personal, connected relationships with their practices—the opposite of a Jiffy Lube experience. The result of such a disconnect? One in three patients report they will switch practices in the next couple of years. For the foreseeable future, the number of patients that practices must see each day to stay profitable will not change. Reimbursements are largely out of a provider’s control. How do practices meet the demands patients have for high-quality personalized care when seeing such large numbers of patients? Technology. Technology is healthcare’s answer to meeting the needs of Amazon patients. Connection through technology is not only effective, but it is what patients want. Studies show that 60 percent of patients would like to receive text reminders and 70 percent want text communication that goes beyond reminders. The same is true for email. Nine out of 10 patients prefer doctors who email their patients. Patient relationship management tools enable practices to reach out to large numbers of patients and create real relationships. They support on-going communication through different mediums, making it much easier for practices to develop and nurture relationships with their patients. In addition, using technologies like these reduces the stress placed upon practices. For example, practices can save hours of time on phones. The average phone call to set up an appointment takes 8.1 minutes. Multiply that by the number of patients seen in a practice and the time wasted is astronomical. In fact, administrative tasks are one of the biggest irritants for practices. 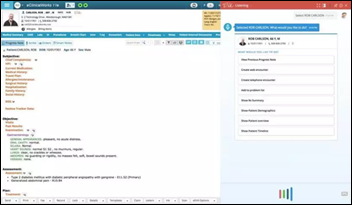 Using text, email, or online self-scheduling reduces the workload. Unfortunately, the majority of practices still do not use text or email to communicate with their patients. Implementing better patient communication technology is an easy fix that practices can—and should—tackle in 2018. The world is marching forward. It is critical that practices evolve with it. Embracing technology that helps move the patient experience from Jiffy Lube to Amazon is going to play a critical role in a practice’s success. According to McKinsey, over half of patients say they have the same customer service expectations from healthcare that they have from non-healthcare businesses. This trend is only going to grow. Now is the time for practices to embrace that reality and start making changes. Former HHS Secretary Tom Price, MD joins Atlanta-based staffing and technology company Jackson Healthcare’s advisory board. 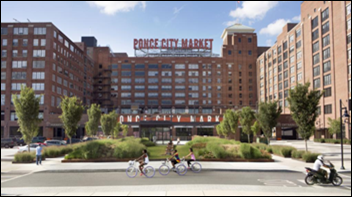 Price’s Georgia roots run deep, with leadership ties to Resurgens Orthopedics, Emory University, and Grady Memorial Hospital. He spent eight years in the Georgia Senate before heading to Washington, DC as a congressman and cabinet member. Q2i develops an app to help physicians care for patients after discharge from inpatient, outpatient, or residential treatment for substance use disorder. 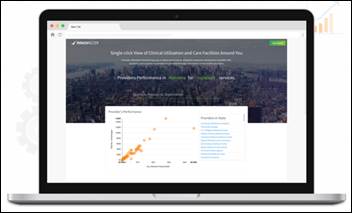 Innovaccer develops the Provider Utilization Portal to give providers a better understanding of payment and performance trends across facilities. 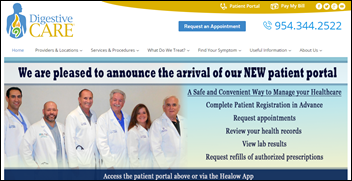 Digestive Care (FL) will replace its Greenway Health EHR with EClinicalWorks technology, including EHR, population health, and mobile app software. CareDox raises $16 million in a funding round led by AI Life Sciences Investments LLC and 7wire Ventures. The New York City-based company has developed pediatric-focused healthcare technology for schools and payers that connects to immunization registries. 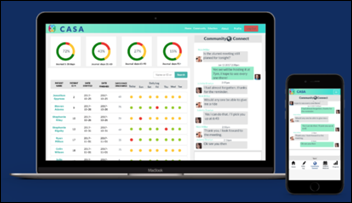 ClinicTracker adds telemedicine capabilities to its EHR for behavioral health. Vein911 Vein Treatment Centers (FL) offer patients telemedicine consults via Chiron Health technology. CMS will host a webinar on January 23 and 25 to help solo and small-practice physicians better understand the process for submitting MIPS improvement activity and attestation data. AHRQ taps Octo Consulting Group to maintain and improve its Quality and Safety Review System. 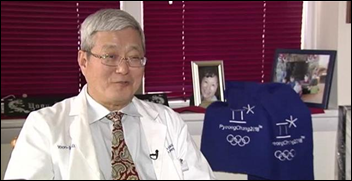 Pediatrician Yoon-Taek Chun, MD will serve as a translator at the Winter Olympics in South Korea next month. Chun is no stranger to caring for South Korean patients, having served as a South Korean army doc in the DMZ several decades ago. He’ll close down his solo practice in New York for nearly a month to travel to Pyeongchang – a move that doesn’t seem to worry his patients. “They promised me that they will be very healthy while I am away,” he quips. Nordic acquires the revenue cycle transformation practice of The Claro Group. Regence BlueCross BlueShield of Utah enlists Aledade to help it launch an ACO that will care for 4,000 members via its network of physician practices. The arrangement marks Aledade’s first contract in the state, and the continued expansion of its ACO business beyond its independent physician practice roots. 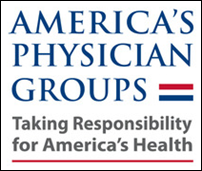 Accountable physician group association CAPG rebrands to America’s Physician Groups. Western Sierra Medical Clinic (CA) promotes Christina Lasich, MD to CMO. She replaces Heather Lucas-Ross, MD who has returned to full-time patient care. The Council of Accountable Physician Practices appoints Stephen Parodi, MD (The Permanente Medical Group) chairman of the board. Clinical research-focused data analytics company Patient IP hires Mike Wilkinson (PPD) as president and COO. Modernizing Medicine names Arnold Levy, MD an advisor for its GMed subsidiary. Premier Physician Network expands portal access to include easy medical record viewing for patients at its seven facilities in New Jersey. The Boston Globe highlights the progress EHR vendors like EClinicalWorks are making with embedded virtual assistant technology akin to Alexa and Siri. 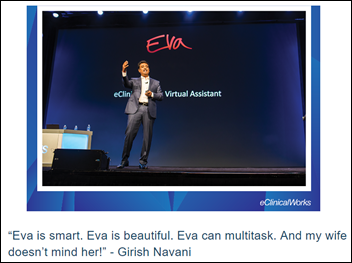 EClinicalWorks CEO Girish Navani previewed the technology during the company’s user conference last fall, and rolled it out to customers in December. Epic is reportedly preparing to launch its own virtual assistant before HIMSS. Athenahealth also has one in the works. Allscripts adds clinical, financial, and informational point-of-care messaging from OptimizeRx to its EPrescribe, Professional EHR, and TouchWorks EHR software. 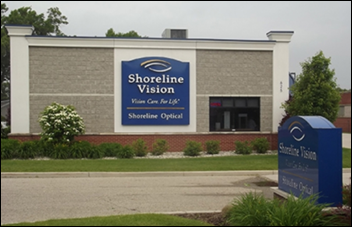 Shoreline Vision (MI) signs on for support services from Great Lakes Management Services Organization. William Milo (Surgery Partners) joins Physician Partners of America as SVP of practice operations. As of January 1, prescribers in Nebraska must report all dispensed prescription drugs to the statewide PDMP. Providers will also now receive alerts when patients receive high dosages of opioids within the last seven to 30 days. 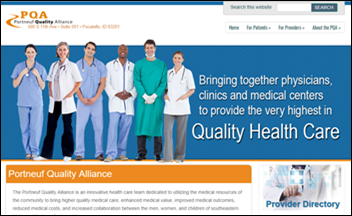 The PDMP is powered by e-prescribing and medication management technology from DrFirst, and is one of the only such databases to integrate with the state HIE. 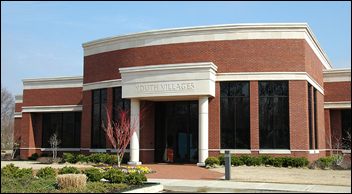 Youth Villages (TN) adds telemedicine services to its deployment of Mozzaz digital health tools. WeCounsel develops the VisuWell brand to offer specialists turnkey telemedicine services. VisuWell CEO Sam Johnson founded patient messaging company Relatient in 2012 after a long sales stint with Greenway Health. Teladoc integrates its traditional telemedicine services with text-based second opinions from Best Doctors, which it acquired last summer, in a new app. Organizers of the Healthy Nevada Project will offer an additional 40,000 residents Helix DNA kits when phase two of the population health study opens in the spring. Genetic data from study participants will be added to the health, population, and environmental data already being collected to develop a data set that will inform future public health projects. Road warriors, beware: A Columbia University study finds that people who travel for work two weeks or more out of the month are more anxious and depressed than those who travel less. They are also more likely to smoke, exercise less, and have trouble sleeping.